Goulston & Storrs is pleased to announce that Abraham Leitner has joined the firm’s Tax Group in New York. 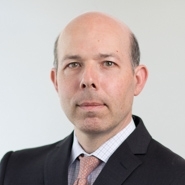 Abe, the eighth lateral addition to Goulston & Storrs’ New York office from leading firms within the past year, joins the firm as a Director and will head the firm’s Tax Group. Abe joins Goulston & Storrs from Davies Ward Phillips & Vineberg LLP. His practice focuses on structuring international joint ventures involving real estate investments in the United States and abroad, and advising multinational corporations on cross-border mergers and acquisitions. Abe has advised foreign governments, insurance companies, hedge funds, real estate developers, REITs, assisted living providers, manufacturers and high net worth individuals. He has planned numerous cross-border transactions for U.S. and foreign individuals and corporations. Abe received his B.S. from Touro College, his J.D. from Columbia University School of Law, and his LL.M (Taxation) from New York University. He is a member of the Committee on Taxation of Business Entities for the NYC Bar Association; the International Fiscal Association, Foreign Activities of U.S. Taxpayers Committee, Tax Section of the American Bar Association; and the Inbound U.S. Activities of Foreign Taxpayers and Outbound Foreign Activities of U.S. Taxpayers Committees, Tax Section of the New York State Bar Association.